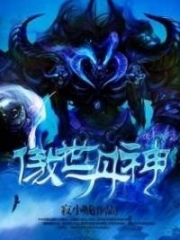 You’re reading novel King of Gods Chapter 636 - Opening Of The Forgotten Garden online at LightNovelFree.com. Please use the follow button to get notification about the latest chapter next time when you visit LightNovelFree.com. Use F11 button to read novel in full-screen(PC only). Drop by anytime you want to read free – fast – latest novel. It’s great if you could leave a comment, share your opinion about the new chapters, new novel with others on the internet. We’ll do our best to bring you the finest, latest novel everyday. Enjoy! A voice sounded from a bamboo room. The inside of the room was dark and had a nice smell to it. A peerless beauty with eyes like stars stood there. Her hair reached the ground, and she seemed to be a G.o.ddess. Meng Xi touched her hair and seemed to be slightly unwilling. In front of her sat a silver-haired figure with an infinitely powerful aura. One couldn’t tell the gender of the figure, and although it seemed to actually be there, it also seemed to be just a ball of air at the same time. The figure slowly opened its hand. A unique, purple unicorn’s horn landed on Meng Xi’s palm. Meng Xi was slightly surprised. The purple unicorn’s horn contained a profound aura of mental energy, but it didn’t seem to be a weapon. On the morning of the second day, on a large arena stage on the main Spiritual peak of the Mystic True Sacred Clan, several half-step Void G.o.d Realm auras clashed. Three of them were on the same side: a middle-aged man with a long beard, a cold youth, and a female in a green dress. On the other side was a sharp youth in mystic clothes with one hand behind his back. His other hand released a silver light that pushed back the three half-step Void G.o.d Realms. There were many spectators watching, including Core disciples, several Kings, and even an Emperor. The Core disciples below watching felt their hearts twitch. He was too monstrous. Nan Gongsheng was the Head disciple of the Mystic True Sacred Clan. At the same time, he was also the strongest genius in the entire Sacred Land. No one apart from Meng Xi, who had a bloodline of the Ten Thousand Ancient Races, had even lasted more than ten moves against him. Three half-step Void G.o.d intents suddenly merged together and crushed toward Nan Gongsheng. The Heaven Earth Yuan Qi seemed to freeze as forces clashed in the soul-dimension. All thoughts were unable to move. The three half-step Void G.o.d intents had become one, and the Core disciples below didn’t dare to breathe. Even though Nan Gongsheng had reached the half-step Void G.o.d Realm, it was hard for him to break through the combined attacks of three half-step Void G.o.d intents. Silver light flashed around Nan Gongsheng as his half-step Void G.o.d intent started to rise. A loud explosion sounded within the soul-dimension, which then pa.s.sed into the physical dimension. In that instant, the arrays around the stage became dim. Everyone broke out into discussion. Only the Emperor had a calm expression. The hearts of the three half-step Void G.o.d Realms shook. They were sent flying by the Void G.o.d intent, and blood dripped from their mouths. The spectators broke out into chaos. In this instant, all the geniuses looked at Nan Gongsheng with respect and admiration. Forming true Void G.o.d intent meant that Nan Gongsheng had no bottleneck. A brand-new Void G.o.d intent shot up into the sky and ignited the power of the universe. In their sight, Nan Gongsheng seemed to become one with heaven. From now on, his intent had the ability of a King and could easily kill normal Origin Core Realms. The Divine Senses of many Void G.o.d Realm Kings and Emperors flashed across the air. However, their hearts shook when they realized that this new King intent came from a junior. Normal experts needed more than a hundred years or even several hundred years to become a King. However, Nan Gongsheng was indeed talented. The cultivation bodies of the world were split into the Mortal, Spiritual, Earth, and Heaven ranks. Normal cultivators only had Spiritual bodies. Back in the Guanjun Province, Zhao Feng and company’s bodies were only half Spiritual bodies. Earth ranked bodies were already extremely rare, and this Nan Gongsheng had the highest Heaven ranked body. On top of that, he had the unique Spatial Spirit Body. The Spatial Spirit Body meant that his compatibility with s.p.a.ce, Heaven, and Earth was extremely high. This was a body that couldn’t be inherited; it was completely random. Such talent meant that Nan Gongsheng was one of the most talented people in the Sacred Land. Only the two people with Ten Thousand Ancient Races bloodlines could be compared to him. Inside his garden, Zhao Feng opened his eyes as he felt a new King intent spread across the main Spiritual Peak. Zhao Feng’s mind split into twenty or thirty thoughts that leapt into the air. Over the last couple days, Zhao Feng had absorbed a large amount of Ancient Dream Realm aura to consolidate his cultivation. However, just after he broke through, he witnessed the magnificence of the number one genius of the Sacred Land, Nan Gongsheng. Zhao Feng sighed in his heart. Everything seemed tiny against such a thing. This was the Spiritual Sacred Land, a place where cultivation could increase by leaps and bounds. Sheng represented Nan Gongsheng, who had the three-star Mystic True Sacred Clan behind his back. Meng represented Meng Xi, who had the three-star Thousand Darkness Sacred Clan behind her back. After witnessing Nan Gongsheng’s strength, Zhao Feng thought about Meng Xi, who apparently had a bloodline of the Ten Thousand Ancient Races. She shouldn’t be too far off from Nan Gongsheng. As the day of the DemiG.o.d Forgotten Garden opening was approaching, the disciples in seclusion came out. Each of the top ten geniuses of the Sacred Land came out, and they had all improved. At this moment, Zhao Feng also stopped cultivating and started to read the information regarding the DemiG.o.d Forgotten Garden. Although the DemiG.o.d Forgotten Garden sounded like a garden, in reality, it was a secret realm that was ranked even higher than the Purple Saint Ruins. After all, the Purple Saint Ruins was already extremely weak, not even one tenth as strong as when it was at its peak. A voice sounded from outside. Hearing that, Zhao Feng’s Spiritual Sense instantly scanned outside and saw a disciple. The disciple was a youth in green robes who seemed to be somewhat lowkey. Zhao Feng smiled faintly and walked out. He met many Core disciples during the disciple ceremony, and this Senior Martial Brother Dong, whose full name was Dong Wenjian, was one of them. More importantly, Dong Wenjian was Duanmu Qing’s in-name disciple, and his father was a half-step Void G.o.d Realm in the middle echelon. Back then, Duanmu Qing took Dong Wenjian as his in-name disciple because he saw that the latter’s father was extremely hard working and was moved. Dong Wenjian’s talent was only considered to be average in the Sacred Land. Normally, Duanmu Qing would spend most of his time in seclusion, and he would spend many years every time he entered seclusion. This meant that Duanmu Qing didn’t have many chances to truly give pointers to Dong Wenjian. Dong Wenjian was extremely warm. The two were both under the same Emperor, but one was a Personal disciple while the other was only an in-name disciple. Although there was a difference in status, they at least had the same master. As Zhao Feng wasn’t familiar with many people, he could only walk with Dong Wenjian. Zhao Feng smiled faintly and he was relatively humble. Dong Wenjian looked at Zhao Feng with complex emotions, including jealousy and wariness. Zhao Feng was only 23 years old at most and he already had such cultivation. Dong Wenjian had also watched Zhao Feng’s battle with Zuo Hong, and he guessed that he probably wouldn’t have been able to last thirty moves if it were him. And now, Zhao Feng’s cultivation had increased even more and reached the late-stage Small Origin Core Realm. There was also a power in his body that brought a lot of pressure. That day, Zhao Feng and Dong Wenjian started to talk to others around the Sacred Land, mainly for two reasons. One was information about the DemiG.o.d Forgotten Garden. The DemiG.o.d Forgotten Garden had existed for an extremely long time, and the information that every King and Emperor possessed had slight differences. Some Emperors and Kings might have more complete information. For example, Duanmu Qing was usually in seclusion and acted lowkey, which meant that the information he had was not the most complete. On top of that, people could help each other in the DemiG.o.d Forgotten Garden. Due to these reasons, Dong Wenjian went to talk with other Core disciples. After all, the two superpowers and the thirty-three two-star sects were about to enter the DemiG.o.d Forgotten Garden, and it was normal for there to be casualties. Time flew, and the three days pa.s.sed in the blink of an eye. On this day, the once-every-five-hundred-years DemiG.o.d Forgotten Garden finally opened. The outline of a garden appeared in the corner of the Ten Thousand Ancient Sacred Peak with a magnificent power that shook Heaven and Earth. You're reading novel King of Gods Chapter 636 - Opening Of The Forgotten Garden online at LightNovelFree.com. You can use the follow function to bookmark your favorite novel ( Only for registered users ). If you find any errors ( broken links, can't load photos, etc.. ), Please let us know so we can fix it as soon as possible. And when you start a conversation or debate about a certain topic with other people, please do not offend them just because you don't like their opinions. You're reading King of Gods Chapter 636 - Opening Of The Forgotten Garden. This novel has been translated by Updating. Author: Fast Food Resturant,快餐店 already has 5109 views. Current Time is Apr-23-2019 22:56:10 PM.